This is no child’s ginger cookie. This is a serious soap with a spicy, earthy, woody blend of ginger and neem, two revered plants from the Indian subcontinent. 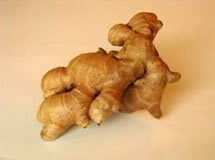 The fragrance of fresh ginger essential oil stimulates your senses and creates an exotic atmosphere for your bath. Powdered ginger is used to give the bar its lovely golden color. Neem is the perfect moisturizer to pair with ginger. Cold pressed neem possesses a wide spectrum of benefits for skin health and has traditionally been used to treat skin diseases, inflammations, and eczema. Neem oil has enhanced cosmetics for centuries. 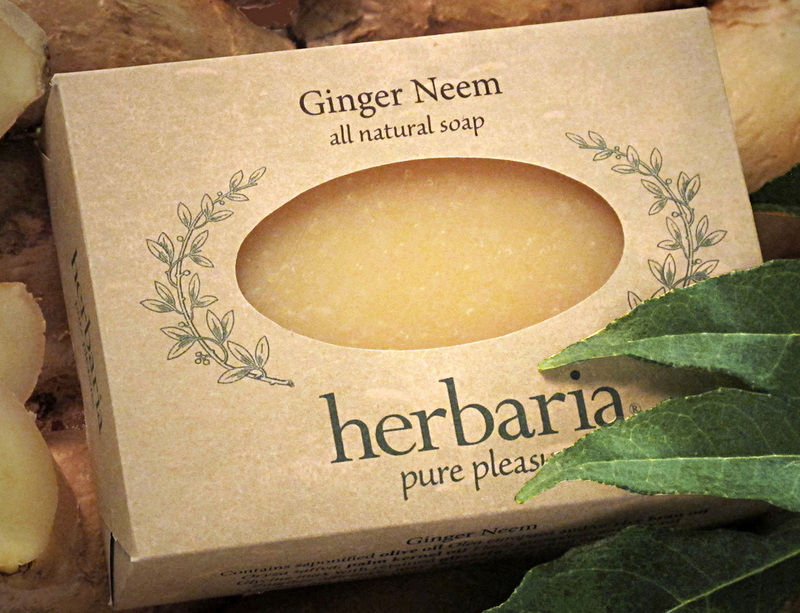 Of course, like all our soaps, Ginger Neem is vegetarian and cruelty-free. Scented with the exotic oil of ginger root, this bar will captivate your senses and imagination. “A big thank you for the Herbaria soaps that you mailed to my parents in India. Your soaps have proven to be a miracle for my 88-year-old dad. He had developed a skin rash from being bed-ridden and was suffering from a severe itch problem. My siblings tried all recommended medicated creams, etc. but nothing worked for my Dad. It was hard for my mother and other family members to see him suffer. Then, your soaps arrived. The prompt delivery was indeed a very pleasant surprise! !